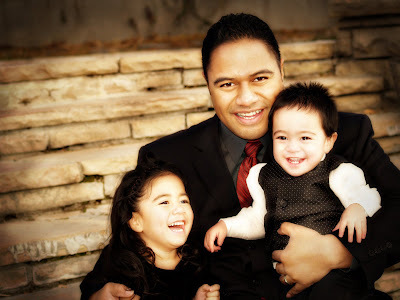 Naomi Masina Photography..Omi Photographer blog UTAH PHOTOGRAPHER: HAPPY FATHERS DAY! For Fathers Day eve....I took Nick...or should I say..Nick took me to see... "The INCREDIBLE Hulk." Now, this is something I don't even think my husband understands, but I would NEVER.....ever....EVER choose to watch this movie of my own free will and choice. It took a whole lot of self control, at the ticket counter, to keep it all zipped up and to not blurt out..."OH...NOT THE HULK MOVIE Pllllleeease!" .....really it took HULK sized strength and a Larger that LIFE love, for the FATHER of my children that keep me silent and smiling all night. I did take a little walk in the middle of the movie, washed my hands for at LEAST 4 minutes, stared at all the pop up movie advertisements in the outside corridor, did arm circles in the hall (the dark hall), and considered climbing some stairs in the theater..(but I didn't, cause I would fall...but, I thought about it). I made it through with only one comment..."please don't take my kids to this one. K?!" It wasn't horrible, terrible, it does surpries me how much violence these "kid" movies pack....and I use "kid" liberally, I'm aware many adults are going to see the Hulk....but isn't that because WE.. read the comics, wore the "underoos" and watched the Saturday morning cartoons when WE... were "kids"?? All in all it was a good night. I just tried to enjoy being with my Husband, who is always a joy to be with. I can't say enough about the positive, motivating, inspiring influence my Husband is in my life. I am a far better person because of him. He pushes me to dream, and believes in me so much I have no choice but to believe in myself. He is unconditional with his Love, and kind with his words. He's got more Faith than anyone I've ever met, and a big pure heart to go with it. I remember one night in my dating years, coming home to a dark room with the biggest heart break I'd ever experienced. The weight was physically heavy, so heavy, that all I could do was get on my knees and pray. I told Heavenly Father...(I am aware you shouldn't really "TELL" Heavenly Father anything) "Okay....I'm going to trust you on this one..but you better give me someone REALLY amazing." Talk about answered prayers, HE sure came through on that one. I didn't see it coming. I didn't recognize it when it was right under my nose, I did all I could to make it difficult for myself, but life has a funny way of working itself out, and prayers have a way of being answered. Thank HEAVEN for my WONDERFUL HUSBAND, my truest gift! Happy Fathers Day Niki! Siempre tuyo! haha...*sigh* the things we do for love. Hahaha! You always make me laugh Omi...you say what all of us are thinking but rarely say! Love ya!